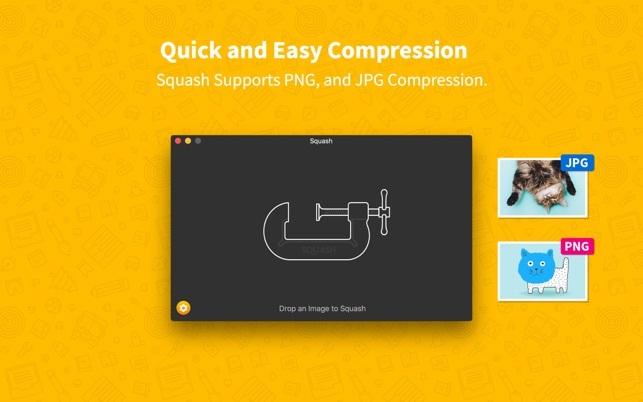 Squash is a simple, powerful app for compressing and converting images for the web and more. 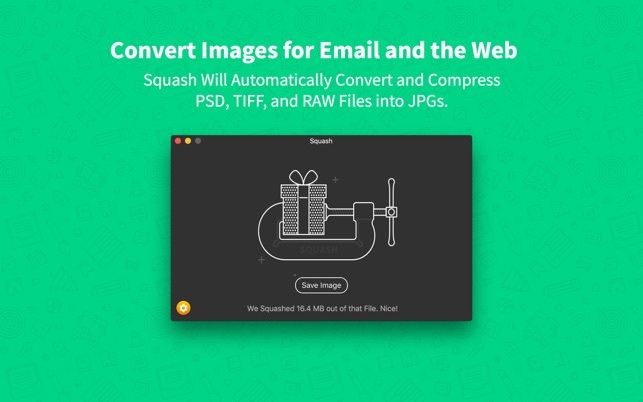 - Reducing the size of files for sending as email attachments. 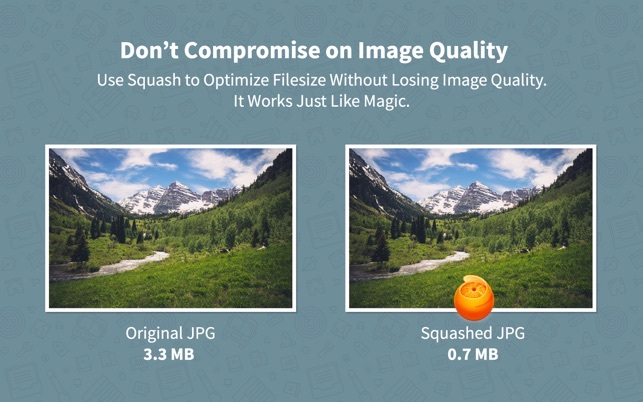 - Optimize images for websites and email campaigns so they load instantly online. - Slow internet? 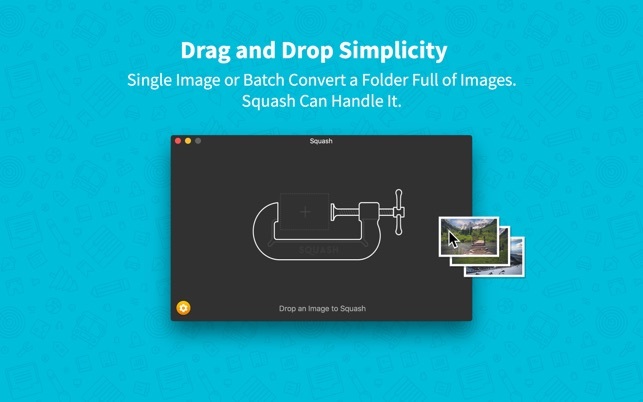 Drop images on Squash to save time when uploading to Facebook or Twitter! - Converting TIFF and RAW files into JPG's so they are web friendly. I’ve had and used this app for quite some time now and I need to remember to use it more often. If only the rest of the Internet would use such apps like this more often the Internet as a whole would be so much better-off. This app really does exactly what they say it does. For highly-compressed JPEG files I still manage to squash an average of 25K out of them. Sure, 25K may seem like nothing, especially in these days of broadband, but every kilobyte saved adds-up. Imagine those graphic-heavy pages, 10 images would be 250K saved. 25 would be 750K. Seriously. I remember the days when a 25K file would take 20 minutes to download. Just because we have blazing speed with broadband these days is really no excuse for not optimizing your images for the Internet. And it’s not just web pages. An optimized image plopped into your MS Word file makes that Word file smaller. And when that Word file is converted into a PDF file that PDF file is smaller. Dead simple to use. Limited File I/O. 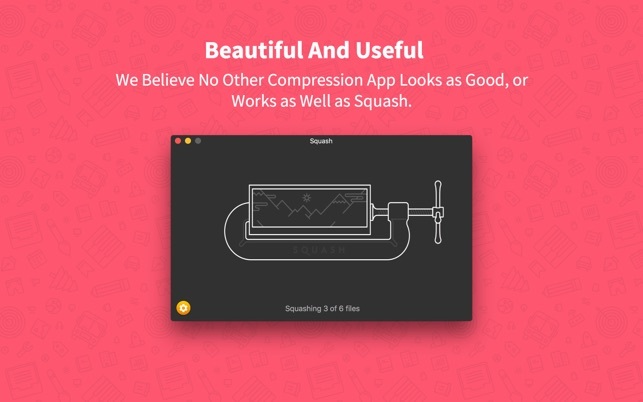 I can always go free with open source tools, but when you have a well-designed Mac app that just works fast and easy like this, I’m happy to pay for it. That said, I do hope the file type in/out options expand over time. TIFF/JPG/PNG doesn’t cover a lot of ground. And if there’s any FEATURE I’d say was missing, it would be the option to set a megabyte limit for a batch. Enter a value, and the compression would vary on each image to automatically limit file size to that value. Otherwise, nice work. I didn't think it was possible for an app to be perfect, yet here we are. Solves a super annoying problem, does exactly what is says without any problems, and it's a delight to use.